Adriano Persichetti has lived in the Northern suburbs of Melbourne for over 36 years. He is an Expert in the Sales field, knowing intimately the Northern and Western corridor sales and trends in the local market place. Honest, reliable and enthusiastic, his insight into the local area is ideally matched by his comprehensive understanding of the Real Estate business. 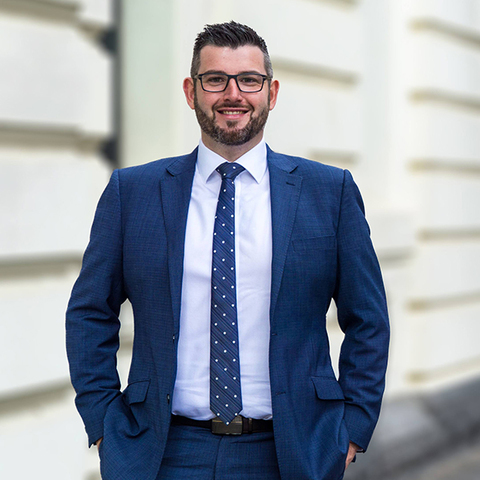 Prior to establishing himself as a successful Sales Director, Award Winning Senior Auctioneer and Licensed Estate Agent, Adriano worked in the Property Investment sector and Retail Management. Now an integral part of the team at My Agent Real Estate, he works hard to ensure his vendors achieve an outstanding result for the sale of their most valuable asset. “I want to provide the best advice and service to my vendors and be able to walk them through the emotional sales process step by step, it’s the most expensive thing they own and must be handled right”. He also wants to help buyers fulfill their dreams of owning their own home too. “I want to help people turn their property dreams into a reality,” he says. “My goal is to build life-long relationships and become, not only a trusted advisor in real estate, but a friend for life.” Adriano is a consummate professional, with great drive and a warm, affable nature. In his spare time, Adriano likes to spend his leisure time with his wife Elizabeth and daughters Milania and Bianca, enjoying the lifestyle and rich diversity of cultures that the Melbourne has to offer. His main hobbies and interests include dining out, travel and going to the football to watch his beloved Carlton, but his main hobby will always be selling Real Estate.